Do Soy & Cruciferous Vegetables Reduce Breast Cancer Treatment-Related Symptoms? The topic of soy and breast cancer has been a controversial subject for years. If you read Dr. Strangelove’s nutrition blogs, you would be led to believe that soy causes breast cancer and shortens the lifespan of breast cancer survivors. This is one of the many myths I have debunked in my book “Slaying The Supplement Myths.” Multiple clinical studies have proven that soy reduces the likelihood of developing breast cancer. Several clinical studies have shown it also decreases recurrence of breast cancer and enhances survival following breast cancer treatment. Other clinical studies have found no effect of soy on recurrence or longevity in breast cancer survivors. Zero studies have found any detrimental effects of soy in breast cancer survivors. So, is there a true relationship between soy and breast cancer survivors? These studies have all shown that soy is part of a healthy diet and should not be feared by women who have survived breast cancer. Breast cancer survivors suffer from several treatment-related side effects. 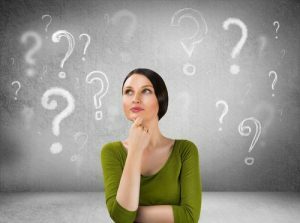 These include menopausal symptoms, fatigue, joint problems, hair thinning, and memory loss. Should I increase soy consumption following breast cancer treatment? This study (SJO Nomura et al, Breast Cancer Research and Treatment, 168: 467-479) enrolled 192 Chinese-American and 173 non-Hispanic White women in the San Francisco Bay area between 2006 and 2012. The average age of the women was 57. They were all breast cancer survivors who had been treated 1-5 years previously. Most had been treated at least 2 years previously. The participants were recruited by mail and filled out questionnaires which provided demographic data, health information, and information on treatment-related symptoms. They also filled out a food frequency questionnaire designed to estimate intake of soy foods and cruciferous vegetables. 0 to 24 gram/day for soy. <33 grams/day to >71 grams/day for cruciferous vegetables. 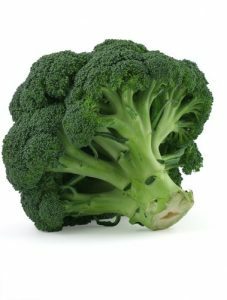 For reference, one serving (1/2 cup) of cooked broccoli weighs 78 grams. Soy And Breast Cancer Survivors? In looking at the effect of soy and cruciferous vegetables on treatment-related symptoms, it is important to understand that the two groups of women had different baseline characteristics. The Chinese-American women had a higher average intake of both soy and cruciferous vegetables. The Non-Hispanic White women were more likely to experience treatment-related worsening of menopausal symptoms. The Chinese-American women were more likely to experience fatigue, joint problems, hair thinning, and memory loss. When all women in the study were grouped together, high (>24 grams/day) versus low (0 grams/day) soy intake was associated with a 57% reduction in fatigue. For Non-Hispanic White women high versus low soy intake was associated with a 71% reduction in menopause symptoms and a 75% reduction in fatigue. The effect of soy on treatment-related symptoms was non-significant for Chinese-American women, perhaps because the baseline intake of soy was greater for this group. When all women in the study were grouped together, high (>71 grams/day) versus low (<33 grams/day) cruciferous vegetable intake was associated with a 50% reduction in menopause symptoms. For Chinese-American women, high versus low intake of cruciferous vegetables was associated with a 39% reduction in memory loss. The effect of cruciferous vegetables on treatment-related symptoms was non-significant for Non-Hispanic White women. This is a small, preliminary study that needs to be repeated before any definitive recommendations can be made. Here are my take-home points from this study. Soy is an excellent source of high-quality plant protein. We already know there is no reason to avoid soy following breast cancer treatment. This study provides another reason to include soy as part of a healthy, plant-based diet following treatment. This study also provides a rationale for including cruciferous vegetables as part of a healthy, plant-based diet following treatment. However, 24 grams of soy represents a single serving of many soy foods. This study does not provide a rationale to increase soy consumption beyond a single serving. The danger after studies like this are publicized is that breast cancer survivors will just focus on soy and cruciferous vegetables in their diet. This study looked at the effects of soy and cruciferous vegetables based on their potential effects on menopausal symptoms. However, they are just two components of a healthy, plant-based diet, and we know that primarily plant-based diets are associated with a decreased risk of breast cancer. In my opinion, we need to focus less on “magic bullet” approaches (single nutrients and single foods) and focus more on holistic approaches. We should be asking how holistic, healthy diets influence recovery from breast cancer and reduction of treatment-related symptoms. We should be encouraging breast cancer survivors to focus on all aspects of a healthy diet, not just soy and cruciferous vegetables. This is one of the many myths I have debunked in my book “Slaying The Supplement Myths.” Multiple clinical studies have shown that soy is part of a healthy diet and should not be feared by women who have survived breast cancer. The most recent headlines claim that soy and cruciferous vegetables (broccoli, cauliflower, cabbage, Brussels sprouts, kale and related vegetables) decrease menopause symptoms and fatigue in breast cancer survivors. These headlines are based on a small, preliminary study that needs to be repeated before any definitive recommendations can be made. Here are my take-home points from this study. However, 24 grams of soy represents a single serving of many soy foods. This study does not provide a rationale for increasing soy consumption beyond a single serving. This study focused on soy and cruciferous vegetables based on their potential effects on menopausal symptoms. However, they are just two components of a healthy, plant-based diet, and we know that primarily plant-based diets are associated with a decreased risk of breast cancer. In my opinion, we need to focus less on “magic bullet” approaches (single nutrients and single foods) and focus more on holistic approaches. We should be asking how healthy diets influence recovery from breast cancer and reduction of treatment-related symptoms. Does Soy Increase Breast Cancer Risk? “To soy or not to soy. That is the question.” If you are a woman, particularly a woman with breast cancer, it is an important question. Some experts say soy should be avoided at all costs. They say that soy will increase your risk of breast cancer. Other experts say soy is perfectly safe and may even reduce your risk of breast cancer. If you are a breast cancer survivor, the question of whether soy increases or decreases your risk of disease recurrence is even more crucial. You have already endured surgery, chemotherapy, and/or radiation. You never want to go through that again. Why Is There So Much Confusion About Soy? Soy isoflavones decrease estrogen production, strengthen the immune system, inhibit cell proliferation, and reduce the production of reactive oxygen species. These are all effects that might reduce breast cancer risk. On the other hand, soy isoflavones also bind to estrogen receptors and exhibit weak estrogenic activity. This effect has the potential to increase breast cancer risk. Cell culture and animal studies have only confused the issue. Soy isoflavones stimulate the growth of breast cancer cells in a petri dish. Soy isoflavones also stimulate breast cancer growth in a special strain of mice lacking an immune system. However, in studies in both mice and rats with a functioning immune system, soy isoflavones decreased breast cancer risk. The confusion has been amplified by claims and counter-claims on the internet. There are bloggers who are more interested in the spectacular than they are in accuracy (Today we call this fake news). They have taken the very weak evidence that soy isoflavones could possibly increase breast cancer risk and have blown it all out of proportion. Their blogs claimed that soy definitely increased breast cancer risk and should be avoided at all cost. Their claims were picked up by other web sites. Eventually, the claims were repeated so many times that people started to believe them. A “myth”was created. I call it a myth, because it was never based on convincing scientific evidence. What Have Previous Clinical Studies Shown? The question “Does soy increased breast cancer risk” was settled a long time ago. Some studies have shown no effect of soy consumption on breast cancer risk. Others have reported that soy consumption decreased breast cancer risk. A meta-analysis of 18 previous clinical studies found that soy slightly decreased the risk of developing breast cancer (J Natl Cancer Inst, 98: 459-471, 2006 Meta-Analysis-of-Soy-Intake-and-Breast-Cancer-Risk). None of those studies found any evidence that soy increased the risk of breast cancer. What about recurrence of breast cancer in women who are breast cancer survivors? Between 2006 and 2013 there have been five major clinical studies (soy-and-breast-cancer-recurrence) looking at the effects of soy consumption on breast cancer recurrence in both Chinese and American populations. Once again, the studies have shown either no effect of soy on breast cancer recurrence or a protective effect. None of them have shown any detrimental effects of soy consumption for breast cancer survivors. A meta-analysis of all 5 studies was published in 2013 (Chi et al, Asian Pac J Cancer Prev., 14: 2407-2412, 2013). This study combined the data from 11,206 breast cancer survivors in the US and China. Those with the highest soy consumption had a 23% decrease in recurrence and a 15% decrease in mortality from breast cancer. What Did The Latest Study Show? In previous clinical studies the protective effect of soy has been greater in Asian populations than in North American populations. This could have been because Asians consume more soy. However, it could be due to other population differences as well. To better evaluate the effect of soy consumption on breast cancer survivors in the North America, this group of investigators correlated soy consumption with all-cause mortality in breast cancer survivors in the US and Canada (Zhang et al, Cancer, DOI: 10.1002/cncr.30615, March 2017). The data was collected from The Breast Cancer Family Registry, an international research infrastructure established in 1995. The women enrolled in this registry either had been recently diagnosed with breast cancer or had a family history of breast cancer. This study included 6235 breast cancer survivors from the registry who lived in the San Francisco Bay area and the province of Ontario in Canada. The women represented an ethnically diverse population and had a median age of 51.8 at enrollment. Soy consumption was assessed either at the time of enrollment or immediately following breast cancer diagnosis. The women were followed for 9.4 years, during which time 1224 of them died. There was a 21% decrease in all-cause mortality for women who had the highest soy consumption compared to those with the lowest soy consumption. 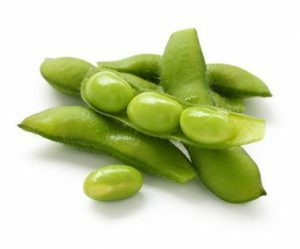 The protective effect of soy was strongest for those women who had receptor negative breast cancer. This is significant because receptor-negative breast cancer is associated with poorer survival rates than hormone receptor-positive cases. The protective effect was also greatest (35% reduction in all-cause mortality) for women with the highest soy consumption following breast cancer diagnosis. This suggests that soy may play an important role in breast cancer survival. In an accompanying editorial, Omer Kucuk, MD, of the Winship Cancer Institute of Emory University, noted that the United States is the number 1 soy producer in the world and is in a great position to initiate changes in health policy by encouraging soy intake. He said “We now have evidence that soy foods not only prevent breast cancer but also benefit women who have breast cancer. Therefore, we can recommend women to consume soy foods because of soy’s many health benefits.” In light of this study, has the question “Does soy increase breast cancer risk” been answered? 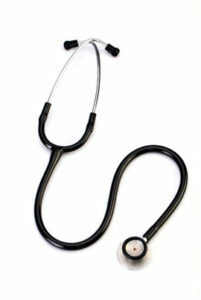 Every clinical study has its limitations. If there were only one or two studies, the question of whether soy increases breast cancer risk might still be in doubt. However, multiple clinical studies have come to the same conclusion. Either soy has no effect on breast cancer risk and breast cancer recurrence, or it has a protective effect. Not a single clinical study has found any evidence that soy increases breast cancer risk. It is clear that consumption of soy foods is safe, and may be beneficial for women with breast cancer. The myth that soy increases breast cancer risk needs to be put to rest. Contains lots of fruits and vegetables. Is low in processed grains & sweets and high in whole grains. Is low in saturated & trans fats and high in omega-3 and monounsaturated fats. Is low in red & processed meats and high in beans, fish & chicken. Limit hormone replacement therapy unless absolutely necessary. Does soy increase breast cancer risk? No. It is time to put the myth that soy increases breast cancer risk to rest. 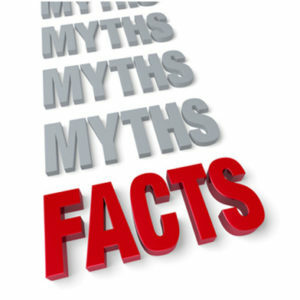 This myth is based on cell culture and animal studies, and those studies were inconclusive. Multiple clinical studies have shown that soy either has no effect on breast cancer risk, or that it reduces the risk. Multiple clinical studies have also shown that soy either has no effect on breast cancer recurrence in women who are breast cancer survivors, or that it reduces recurrence. No clinical studies have provided any evidence to support the claim that soy increases either breast cancer risk or breast cancer recurrence.